Originally from Daytona Beach, FL. Johnny Graham currently lives in Killeen, TX. He started his long 20+years in the US Army, retiring as a Master Sergeant with 2 Bronze Stars, Purple Hearts, 3 Meritorious Service Medals, Joint Service Commendation, 7 Army Commendations, Jump Master Ranger, Special Forces Qualified, as well as being an ExpertMarksman/Sniper. Johnny’s interest in athletics began with weightlifting in high school doing the bench-press and clean & jerk. Johnny played football for the University of Florida for 4 years, and was later drafted by the Miami Dolphins. 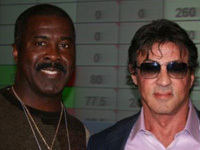 Johnny went on to coach football for the Department of Defense Dependant Schools in Europe (1980-1982). Johnny's began weight lifting competitively in the 70's. Since then Johnny has accomplished numerous milestones in the sport. 1998 Masters Powerlifting of the Year. 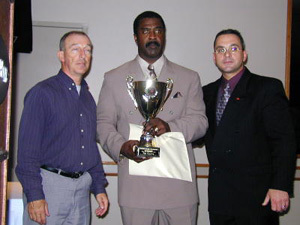 2003 USA Powerlifting, Coach of the Year. 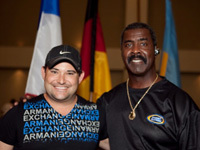 While Johnny has achieved much success individually in the sport of power lifting he has also coached several World power lifting teams to victory. Among Johnny's favorite accomplishments is his winning of the 2006 Masters World Championship in his hometown of Daytona Beach in front of his family. Designed Fit-to-Win, and Civilian Wellness Programs for III Corps, and Fort Hood, Texas. Developed TRADOC Physical Fitness Program for all DA Drill Sergeants Schools, at Fort Knox, Ky., 1984. Poster Drill Sergeant for the Department of the Army Recuriting Magazine "On your Own" 1984. Certified Health and Fitness Instructor (ISSA), American College of Sports Medicine, Certified Fitness Trainer, National Strength Coaches Assoc. member, National Youth Coaches Assoc. member, Category II International Power lifting Referee. Coordinated, taught, and developed curriculum for training and workshops for over 500 West Point athletes. Author of over 20 articles, manuals, related to strength training and conditioning. ASA Official, Flag Football Official, Baseball Official, Boxing Official, Basketball Official. Youth Activities Sports Director: Bad Kissingen, FRG 1980-83. Jr. Division Football Coach, 1983 US Army Europe Champions. 13-0. Only team ever to never be scored on during the regular season. 1983 US Army Europe Coach of the Year. Have attended USAREUR and National Sports clinics, on Powerlifting, Flag Football, Softball, Basketball, Boxing, and Baseball. Conducted research on various topics including; exercises injuries, calisthenics circuit training, low impact aerobics, and focus of control with conditioning. Taught over 1200 Soldiers on classes related to physical performance. III Corps and Fort Hood, Texas Health and Fitness NCOIC/Director April 1994-Sept 1997. Coach/Trainer of over 40 World Powerlifting Champions. 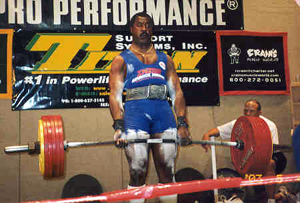 Coach, US Powerlifting National Teams 1995-2004. Coached USA team in the 2001-2004 World Championships in Chech Republic, Moose Jaw, Canada, Regina, Canada, Villa Maria, Argentina, Capetown South Africa, and the World Firefighters Games in Christchurch, New Zealand. 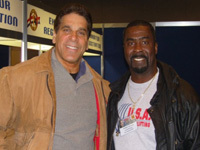 USA Powerlifting National Military Chairman 1993-2000. Selected USA Powerlifting National Masters Chairman in May 2000. Coach, Fort Hood Powerlifting Team 1992-present. Ten times Team National Championships, 11 State Team Championships, and 3rd Place Team World Cup of Powerlifting. Motivational Speaker for over 60 High Schools around the USA and Europe. 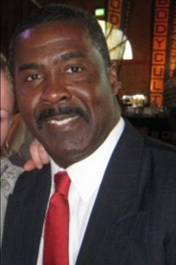 We are pleased to welcome Johnny Graham to the Max Life Direct family!